Nestle India Ltd’s presentation made to analysts last week raises the question of whether it has moved away from its focus on volume growth. Nestle’s presentation shows that in January-September, in the domestic market, sales rose 9.5% year-on-year (y-o-y) in volume terms, while value rose 21.5%. In the exports market, sales declined 10.2% y-o-y, but it rose 8.9% in value terms. The immediate conclusion is that Nestle has been hiking prices sharply, a strategy that runs the risk of hurting consumer demand and even becoming uncompetitive. A reason for this shift can be seen in Nestle’s parent’s strategy—echoed by other MNCs—of focusing on margin improvement. 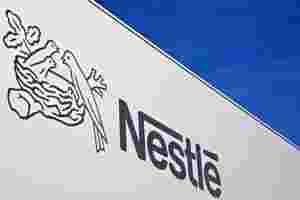 Nestle’s growth also suffered from its decision to weed out products it termed non-strategic. While its reported volume growth was 8.7%, excluding discontinued products, its restated volume growth was 12.8%. Changes in product prices and mix have played a more significant role in 2011 as restated value sales growth was 24.4%. This trend is also visible in its key product categories. In milk and nutrition, restated volume sales rose 11.7% and 26.4% in value terms. Rising milk prices are the main reason for the increase, helped by pricing power in some products with relatively low competition. In chocolates, restated volume sales rose 15.1% and 22.9% in value terms. Price and mix have not contributed that significantly here; perhaps, due to strong competition. However, in prepared dishes and cooking aids (noodles, ketchup and instant soups), despite growing competition, Nestle has used price and mix effectively as volume sales rose by 15.4%, but by 27.1% in value terms. The decline in exports saw flat growth in the beverage segment’s volumes, though price hikes led to a 17% growth. Again, coffee prices have jumped sharply, explaining the increase. Nestle is entering an interesting phase now. Pruning of products could mean it can invest more in products which can contribute disproportionately to sales growth and margins. But it could also limit its ability to drive volume growth. Even now, volumes are playing a significant role in its growth. The price hikes seem to be passing on cost hikes. As long as that continues, its growth strategy appears sustainable. Nestle’s real test comes when input costs soften—as they have in some cases—and whether it passes on the benefits to grow consumption, or retains the savings to grow margins. A lot also depends on the competitive scenario; and if everybody shifts focus to margins, then the incentive to take a different path becomes lesser. For investors, in the near- to medium-term, they may not see any ill effects of this strategy as expanding margins should have a positive effect on earnings too. The longer term may have a different story to tell, however.